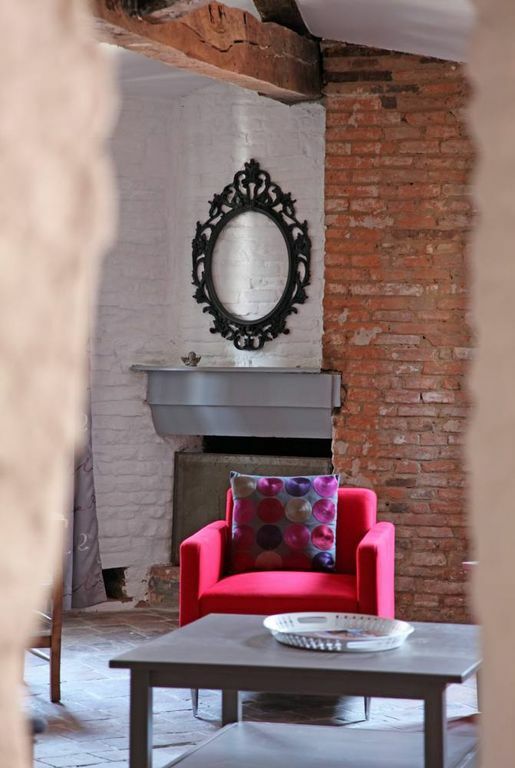 The flat is part of an XVIII century building in the heart of the city and its many advantages should contribute to your stay being an enjoyable one. Well equipped apartment in a quiet central location. This apartment had absolutely everything we needed. There was a supermarket and daily covered market just across the road and all the city sites were easily accessible on foot. Having access to the underground garage is a bonus, as parking in the city centre is very difficult. The owner was very helpful and met us on our arrival to show us around. Since the apartment is on the 3rd floor there are a lot of stairs to go up, which might not suit everyone. The beds were comfortable and it was surprisingly quiet given its central location. Thank you for making our stay in Albi so pleasant. We will definitely recommend your place to others visiting the area. This apartment is in the center of the city about 2 blocks from the cathedral and Toulouse-Lautrec Museum, next to the market, and surrounded by many shops and restaurants. It has two bedrooms, complete kitchen, dining room, and large living room. The living room is air-conditioned. The WiFi is excellent. Parking is included and is in a secure underground garage less than 100 meters away. The apartment and linens were very clean. The owners speak English very well, and they met us promptly at the appointed time both for checking into the apartment and at check-out. We enjoyed this stay very much and would return. This apartment is an absolute gem! It's close to the cathedral, extremely well equipped and beautifully decorated - the attention to detail is fantastic. Julie and Laurent, don't change a thing! We walked everywhere. Julie had lots of suggestions and was so helpful, meeting us at the station. The town and surrounding area is lovely - thank you both for sharing it! It is a wonderful little apartment in the heart of Albi ! Absolutely great for its location (it is situated two minutes from the Covered Market and five minutes from the Cathedral and the Toulouse -Lautrec museum ). It is worth climbing the 50 steps that lead to this penthouse ! The bathroom- recently renovated- is very nice ! Very convenient use of parking as well . The hosts are very pleasant people and they really make an effort to accommodate their guests . Excellent accueil de Julie et Laurent. Gîte idéalement situé, typique et meublé avec goût. Tout est fait pour que les vacanciers se sentent bien. Conseils avisés sur les ballades à faire, les visites et les bons plans resto !!! Gentillesse et bonne humeur au rendez vous. Une semaine formidable dans un appartement magnifiquement rénové en plein coeur historique d'Albi. En bas de l'immeuble, le marché couvert d'Albi ouvert tous les jours et le parking pour la voiture. Nous avons adoré cette ville et passé une semaine inoubliable comme à la maison. La famille Jousselin nous a accueillie avec une grande générosité et beaucoup d'informations pour occuper notre semaine. Balades à pied, ciné, Cap Aventure, .... même nos ados ont été conquis ! Un grand merci aux Jousselin, nous reviendrons à Albi !